One of the most famous “Temple Shrines” (temples that also functioned as shrines – it is a long a complicated story about the role of Japan’s two major religions Buddhism and Shinto) in Tokyo is the Toyokawa Inari Tokyo Betsuin in Tokyo’s Moto Akasaka district (near both Nagatacho stations and the famous Akasaka Mitsuke stations). 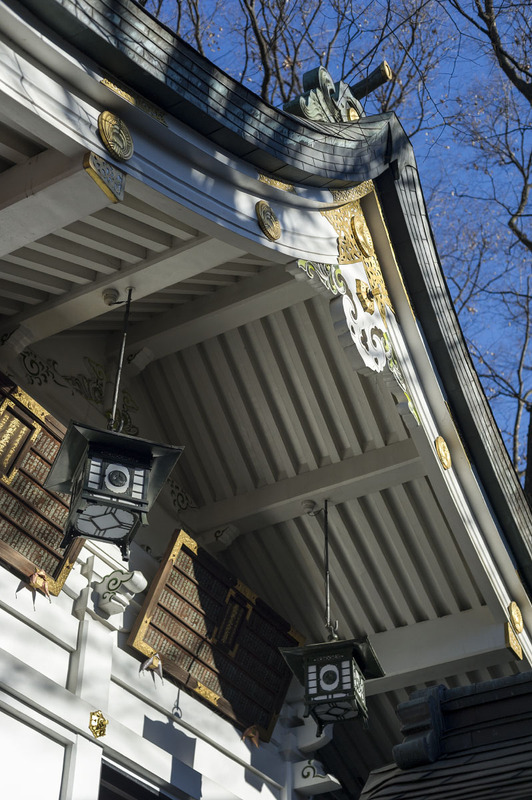 Erected as a branch office of the main Toyokawa Inari in Aichi Prefecture, it has been tremendously popular from the day it was opened in 1828 to this day. 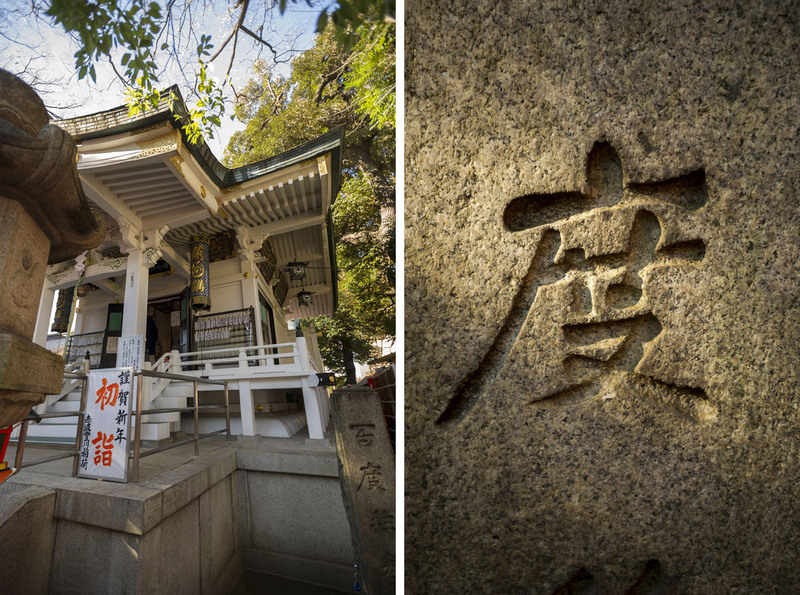 During the years after its founding, the temple shrine was moved and the buildings rearranged, one of them being one of my favorite buildings in Tokyo; the tiny Okunoin (奥の院). 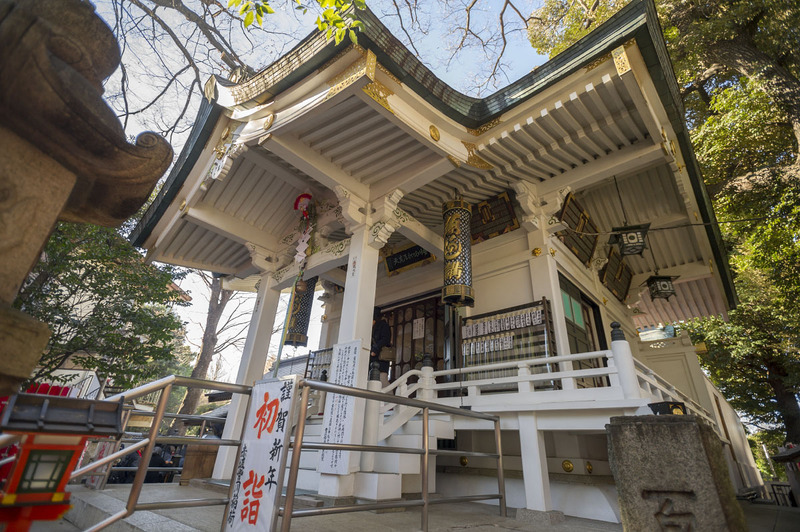 It looks very much like an ordinary shrine from the outside, except that it is strikingly white (which is quite unusual), but on the inside it looks like any rural temple complete with buddhist art and statues. During the Hatsumode season this year (early January) the Okunoin building was opened to the public and I got my first chance to poke around outside. I would have loved to spend more time in here but lots of people were lining up outside waiting to get in so I had to be quick with my camera. 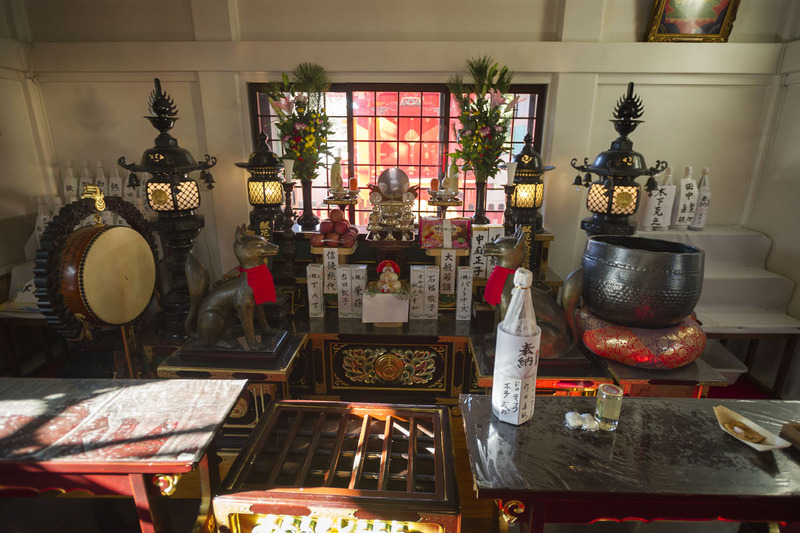 The Tokyokawa Inari Bestuin is very popular with celebrities and if you have a chance it is a great spot to go for the New Year’s celebrations, from about half an hour before midnight on the 31st to the Coming of Age day in early January. Haven’t seen that before. Thanks for sharing! I’m forever saying that I must visit the places you blog about, so today I decided to strike while the iron was hot and make a detour to this shrine on the way to work! My first surprise was that I had actually been there before, a few years ago now, though for some reason I hadn’t noticed or at least fully appreciated the white okunoin on that occasion. My second surprise was that I could go in, which I did and as your photos show, it is as pretty on the inside as it is from the outside. Well worth a visit, or a second visit even!! 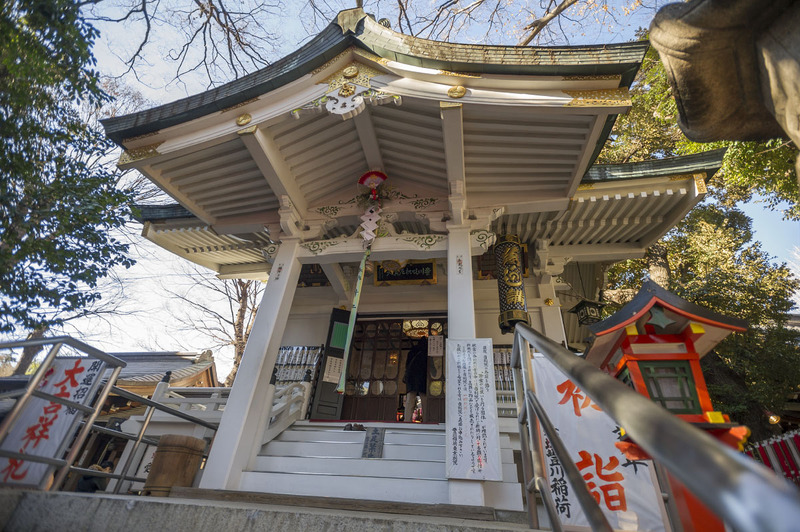 i never thought of ‘white’ is an uncommon color for a shrine. i suppose almost all of them are red? i also quite like the interior look. 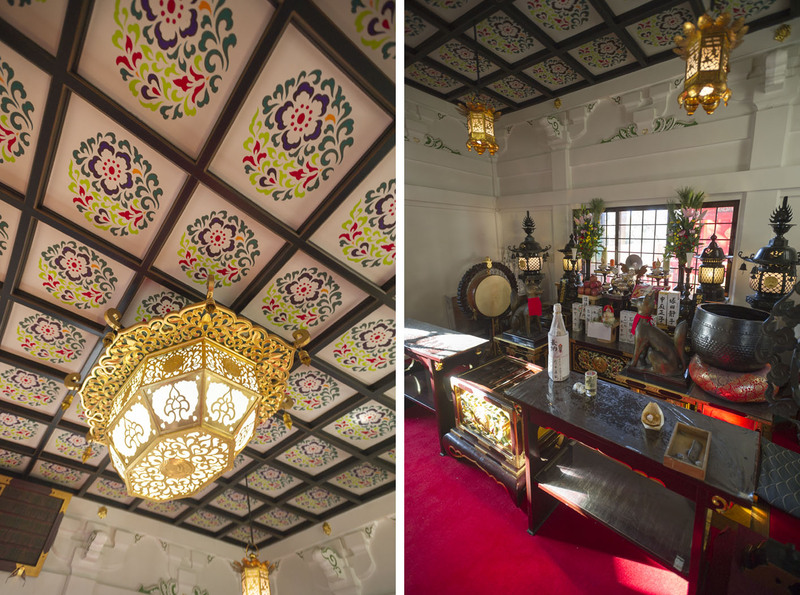 the murals on the ceiling is an added charm. 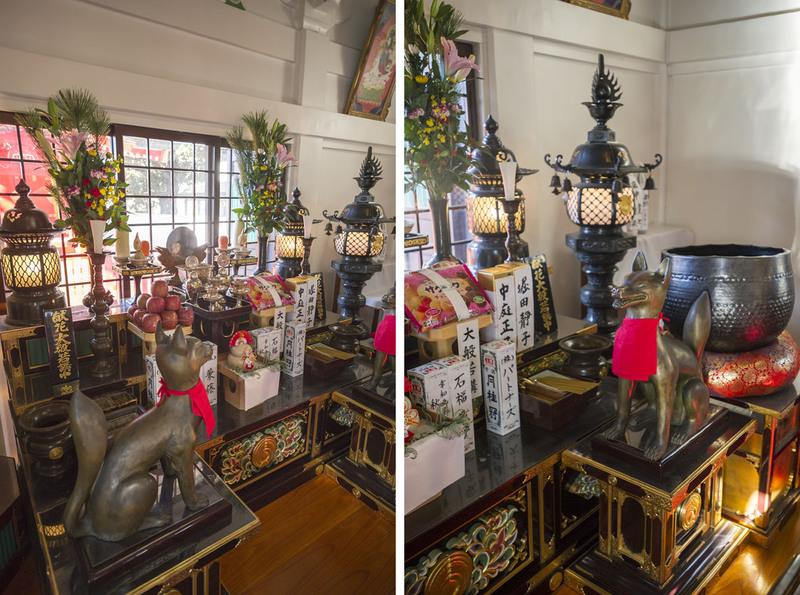 I love temples/shrines that you can enter. I would like to visit Betsuin for the New Year. Hello, just wanted to drop by and say I enjoy your photos a lot. It’s a long time since your last upload and I hope you are fine. I’m always telling people to check out tokyobling. I’ve really admired and benefitted from your blog since wayyyy back. –but no posts for over a year, what happened? Hope all is well. Same as Mr.art, I was wondering about you, since I haven’t seen your new post long time. I think, you are much younger than me mean a bit early to retire, —– or came back to England? Anyway, I hope you are well and surviving well despite the snow (even N-korean missile) in Tokyo. Very sad to hear that you taking break from posting I hope you will start writing again soon. Your posts were very interesting and informative with plenty of beautiful photos. Even if this was only temporary fun you should definitely do something similar in the future as you have an amazing gift.